Manage Facebook, Twitter, Instagram, YouTube, and LinkedIn accounts in a single platform! reply to customer needs, and increase customer loyalty through social media. Create your social media content, schedule your posts, publish and interact with users! Create the best content, see the previews, schedule and publish on social media. Report all activities with interactive charts, Excel reports, and PowerPoint presentations! 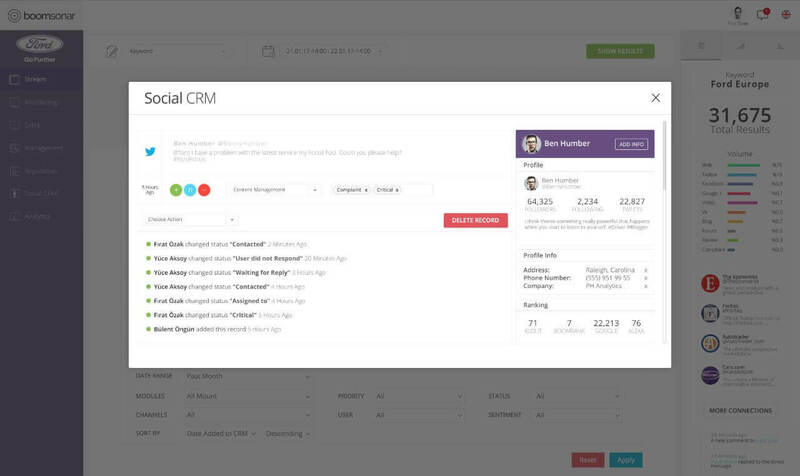 Manage all your activities with the integrated Social CRM, improve customer relations. BoomManament is designed for brands and agencies to manage multiple social media accounts easily. No need to switch between accounts to catch what people say about your brands on different pages. Get insights for your social media accounts, conduct Social CRM, and keep your customers happy. No more switching between accounts all day! Create well designed PowerPoint presentations with the interactive dashboard. 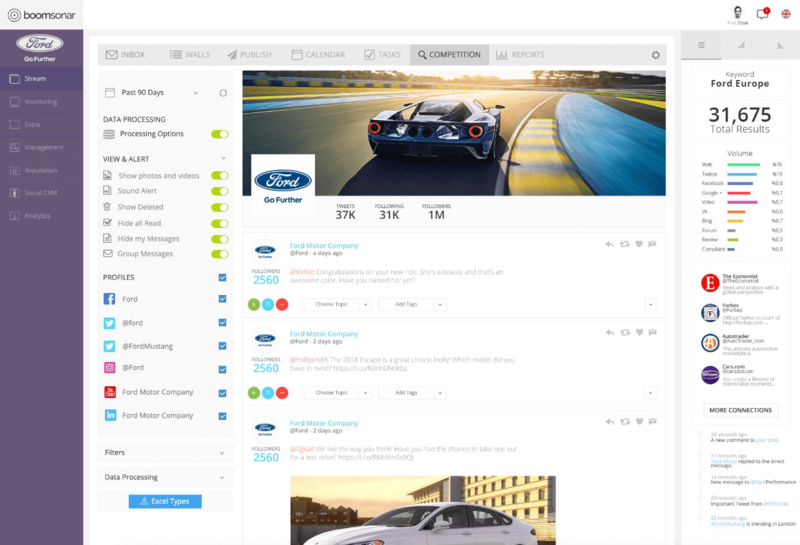 It’s now much easier to manage the social media presence of brands with numerous accounts across multiple social networks! 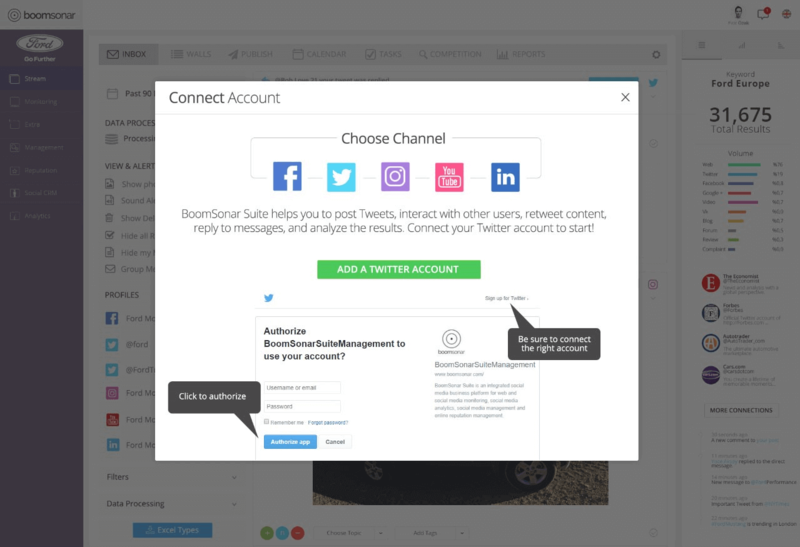 BoomManager helps you to manage all of your accounts on Facebook, Twitter, Instagram, YouTube, and LinkedIn, see all your messages, replies, and comments in real time, reply and message users, filter the content and analyze the results in a single inbox. 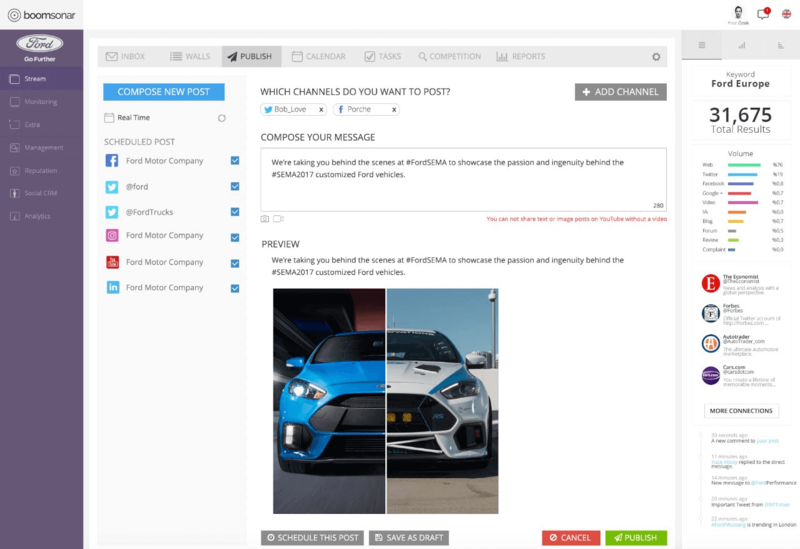 BoomManager provides tools for creating content, scheduling your posts with a calendar, and publishing your content in multiple channels and accounts at once. You can also preview your posts on each channel, and see exactly how they will look once published. You can implement your content strategy with daily, weekly or monthly plans, and schedule your content to publish later. With real-time monitoring of your competitors’ owned social media assets, you can refine your social media content strategy in real time. See the posts of your competitors, analyze the comments, measure their success and enhance your social media strategy. Social media account management is a team effort. Creating the best content, analyzing competitor activity, moderating comments and replying to user queries is a complicated day-to-day operation that involves different people in your organization. 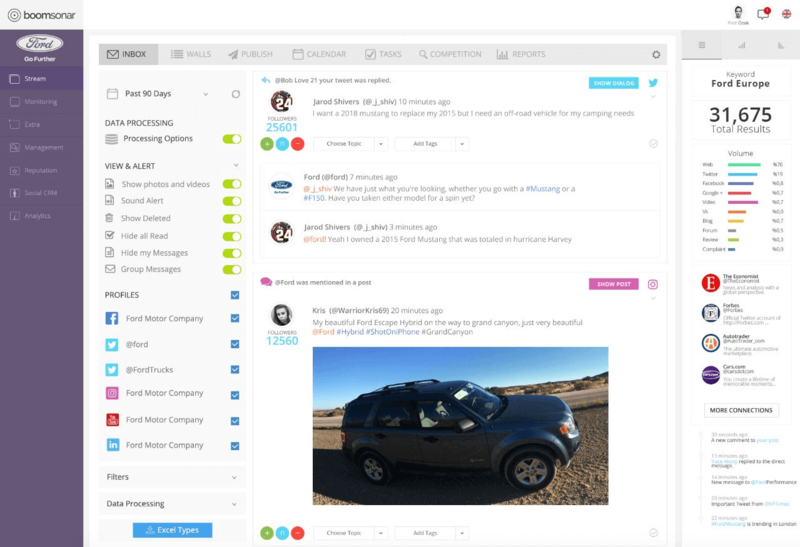 BoomManagement is designed for teams. You can assign tasks to each member of your team, see the progress of each task, get help from other departments within your company, add notes, and analyze your workflow with ease. Real-time synchronization. Every action of any team member is visible by others in real-time! 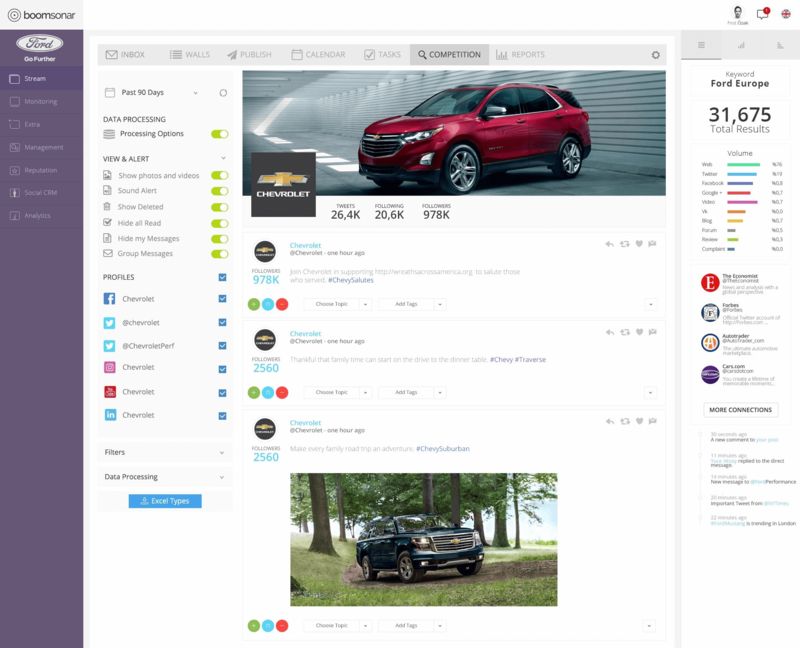 The customizable and flexible dashboard of BoomManager helps you to visualize your social activities, analyze paid and organic content and reach your account insights with interactive charts and graphs. The interface supports creating and saving multiple custom dashboards, helps you to analyze the account performance in different channels, and interact with the graphs to see the results. All graphs in the dashboard can be exported to create well-designed PowerPoint presentations. See the trends, most active users, word clouds and more! The best all-in-one solution for brands and agencies! 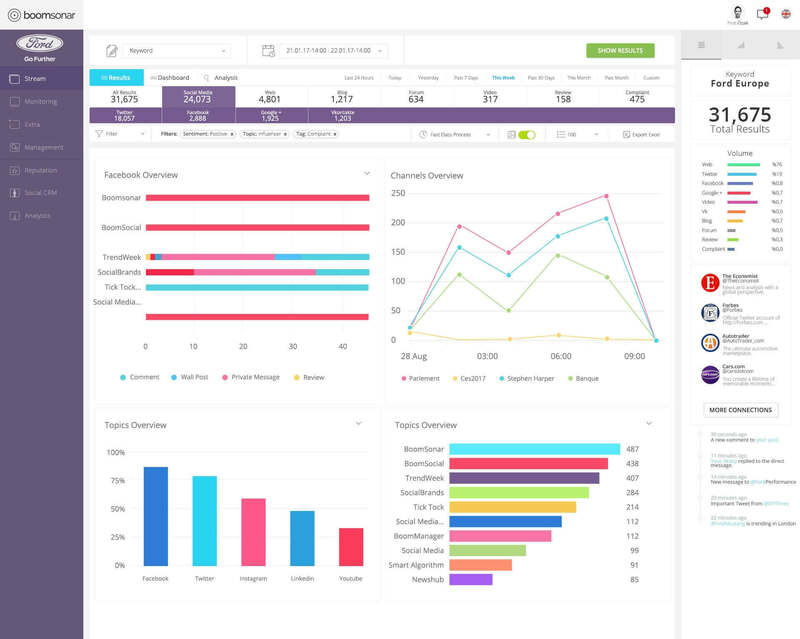 Try the BoomSonar Suite demo, start social media management, data analysis, and reporting.